Looking for a new coffeemaker? With all of the new coffeemakers that have come out this year, there’s no doubt you’re going to want to keep on top of all the new emerging technology, and we’re here to help you do just that. Here are some of the best coffeemakers of 2011! When it comes to filling your cup up, simply press it against the button to fill up a cup in the hurry – one feature that you’re bound to appreciate, no matter what time it is. Since this coffeemaker also has an insulated tank inside, your brewed coffee will taste fresh and just like new for hours. There are also four different brewing modes, and shuts off on its own. You can also program the coffee machine ahead of time so that it starts brewing at the perfect time in the morning. With it’s great timing features and insulated tank, the Hamilton Beach BrewStation Deluxe is one of the best coffeemakers of 2011. This coffeemaker is absolutely ideal for serious coffee makers. The coffee tastes fresh and fabulous all day long. There’s a thermal carafe located inside the coffeemaker, which helps the coffee perfect to drink all night long. The carafe is made of tough stainless steel, which helps keep the coffee piping hot. Rinsing the carafe with hot water beforehand also makes things a little bit easier as well. Many have also reported that this coffeemaker last much longer than other brands of coffeemakers. There is also a specially designed gravity actuated ball check valve, which helps to automatically close the carafe. When you want to pour out the coffee, you just tilt back the carafe, and the coffee is poured out. The valve also opens and closes instantly, and there’s nothing to twist, without so many complicated little levers. With it’s fabulous features, and thermal carafe, the Cuisinart Programmable Automatic Brew and Serve is one of the best coffeemakers of 2011. The Smart Brew is just that – a smarter coffee maker than your average! It makes making coffee more simple and convenient, and is incredibly easy to clean. The Smart Brew also has all kinds of great features, and the carafe is also dishwasher safe. There is a programmable clock feature, which helps you perfectly tune the clock to the ideal time for you. There is also a great auto brew feature, making it ideal. The Smart Brew 12-cup Coffeemaker also has an optimal brewing temperature, and makes coffee making truly a snap. It also shuts off within 2 hours, so you don’t have to worry about having to rush off. It’s easy to clean, easy to brew, making the Smart Brew 12-cup Coffeemaker one of the best coffee makers of 2011. 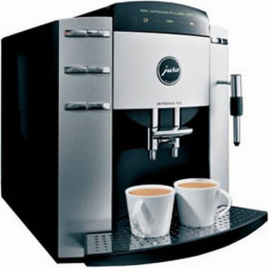 This DeLonghi model is just ideal for coffee lovers and those who are truly passionate about coffee. Dramatically designed, this is one coffeemaker you don’t have to worry about clashing with your kitchen. The DeLonghi actually has an aroma button, which sets the coffee maker to release flavor and aroma out of the coffee beans, and into the coffee. It saturates the grounds to get the best out of the coffee, and really make sure you get the entire flavor of the coffee. You can also program the time for the coffee, to ensure that your coffee starts making itself, when you want it. There’s also a pause and serve feature, making it ideal for those busy weekday mornings.